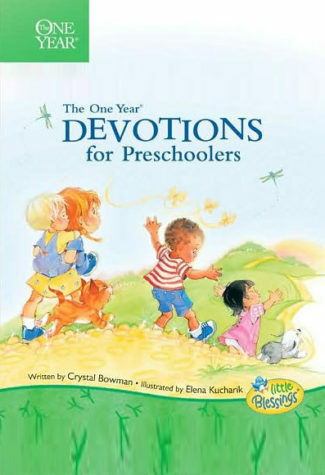 Watch your young children grow in their understanding of God as you meet with him together using this One Year devotional, a collection of 366 daily devotions that focus on topics relevant to toddlers. Each reading pairs a Little Blessings illustration with a short Bible verse and devotional thought that gets you and your child talking about the simple truths of Scripture. A fun, rhyming prayer completes each devotional. A great way to get young children interacting with Scripture daily.